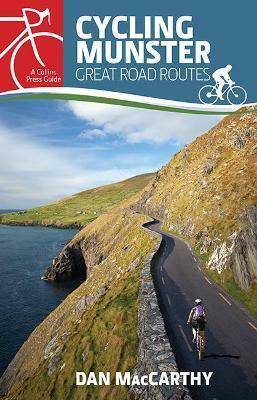 With routes spanning the province, this guidebook is all you need to explore the highways and byways of Munster â€“ on two wheels. Each route is prefaced with summary information and illustrated with a custom-drawn map and gradient graph. Routes are arranged by difficulty, from the gentlest, shortest circuits in Cork, through Tipperary, Limerick and Clare, to the thigh-burning Ring of Kerry, and Waterfordâ€™s Copper Coast and Grand Vee. Cycle stunning coastal roads on the Wild Atlantic Way. Challenge yourself on mountain passes. Pedal through tranquil woods and lakesides, charming towns and villages. Discover routes to suit all abilities and many hidden gems.